This is one of my favorite things that is so of this time, and I don’t care. I won’t apologize for loving it. 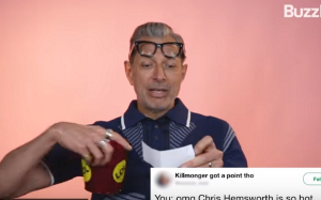 I was inspired to make this collection for you, by this new video of Jeff Goldblum reading thirst tweets about himself. But more to follow, so don’t stop there. My neighbor didn’t know about mean tweets until I showed him earlier tonight. Weird.